During my years of grad school in Boston, I lived with a flat mate, Amy, who cooked a little but mainly lived on canned beans, noodles, jarred tomato sauce and an occasional piece of fish cooked in aluminum foil. So I almost dropped the phone the other day when I was chatting with Amy and she nonchalantly mentioned that she now makes homemade yogurt weekly. I’ve been seeing a lot of the homemade yogurt recipes on Pinterest lately, but clearly if Amy is making it “weekly,” and I NEVER have, I am way, way behind the times. So I hopped right to it. Below are my reviews of two different recipes. In the first recipe, I used the recipe-specified whole milk, but you could easily swap in 2%, 1% or fat-free – realizing that the texture would obviously not be as creamy – but the fat content would be lower. For the second recipe I used fat-free milk with only 1 cup of whole milk added. Greek yogurt is generally thought to be very thick yogurt with the watery liquid whey strained out; because most of important nutrients in milk are concentrated, a smaller serving is higher in protein than regular yogurt. (See nutritional info below.) I refer to the following as Greek-style yogurt – because I tried to strain it for several hours so it would get thick; but you could easily make regular yogurt by straining the mixture for a shorter time and mixing it to incorporate the liquid. My husband said: Tastes like cottage cheese or sour cream. Soft and velvety from whole milk; delightful. Strain longer than directed in the recipe for a thick Greek-style yogurt consistency. I chose this next Homemade Greek Yogurt recipe because a slow cooker reduces nearly all chances of scorching the milk. However, my slow cooker took nearly 6 hours to heat the milk (on low setting) instead of the suggested 2-3 hours. Luckily, this recipe appears to be quite forgiving; I know this because I got interrupted during step #2 and the milk + yogurt culture cooled below 112°F. I heated it back up to 120° in the slow cooker – but heated it too high to 150°! Luckily I didn’t kill all the cultures and the yogurt still turned out delicious. Use a plain yogurt you like to add the cultures; the result will taste just like it – only richer. This recipe is certainly more tangy than the first. The longer you drain it, the thicker and more Greek-style the texture it will become; however it will not be chalky like I find some store-bought Greek yogurts. This is likely due to the 1 cup whole milk I added. One last note. 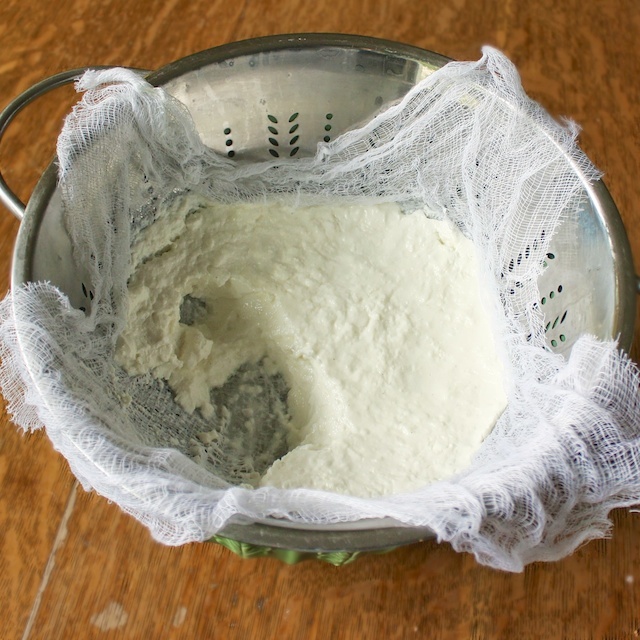 Recent articles have highlighted the challenge of disposing of the whey produced when straining yogurt to become Greek-style. This is cloudy, protein-rich liquid remains when you make these recipes and is actually very versatile. I used it in place of milk in a muffin recipe and in smoothies. Next time, I’ll freeze it in ice cube trays and throw it into smoothies for added protein. It tastes like tangy yogurt – a flavor that’s commonplace in smoothies. Bottomline: I will make both recipes again depending on the taste I’m after – and how much time I have on a certain day! Please tell me which recipe you like better or what sorts of adventures you had making either recipe! Let me know how you make out!! Seriously! Fascinating! I’m reminded that I should spend more time on Pinterest 😉 Hehe..your friend, Amy sounds a lot like me! I wonder how my friends will react when I tell them that I have a food blog. Now that should be entertaining ;). I do like the fact that the 2nd one can be made in the slow-cooker! Is there anything slow cookers can’t do? I thoroughly enjoyed learning about cheese-making process in my Biotechnology course. I recognize those two starter cultures ;). I would never have thought to use the liquid in muffins! So clever you are..Thanks for sharing, Serena! I started making the slow cooker yogurt last year. I like using 2% best. I freeze some (unstrained) to use in smoothies, and strain some for Greek style to eat. I’ve never saved the whey, I’ll have to give that a try! Great idea to freeze the different consistencies!! Thanks so much for sharing the tip Becky! Homemade greek yogurt is the best. I always make greek yogurt in my crockpot. But I set it on high. For a gallon it takes about 4 hours and about 2 for a half gallon. Maybe try turning it up to high. I have never burned mine. You’re a gem for sharing your experience! I will try on high heat next time…which will be soon! You are incorrect in that the Whey is high in protein. The whey strained from yogurt is not the same as whey strained from cheese. The whey from yogurt is mostly carbs, thats why when you strain it, you are left with a yogurt that is mostly protein. The whey from cheese is mostly protein, and that’s what is used to make whey protein powder. So I wouldn’t be saving the yogurt whey and adding it to anything unless you really like the taste/trying to get extra carbs. Thanks Jon. I will have to ask an expert…unless you are one? 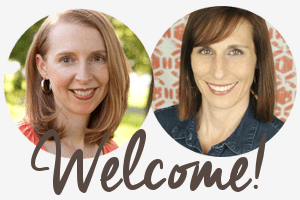 Do you work as a dairy scientist? Stay tuned! And thanks again for your comment! 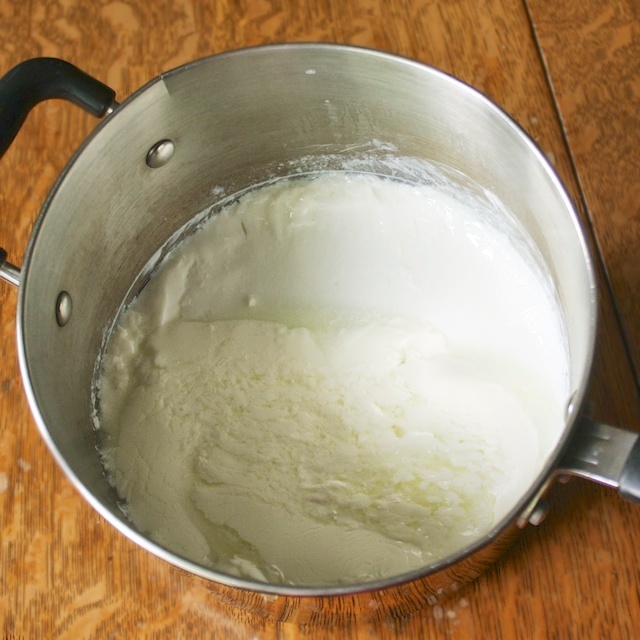 The whey strained from yogurt can be used to ferment other foods though. Don’t throw out that whey!